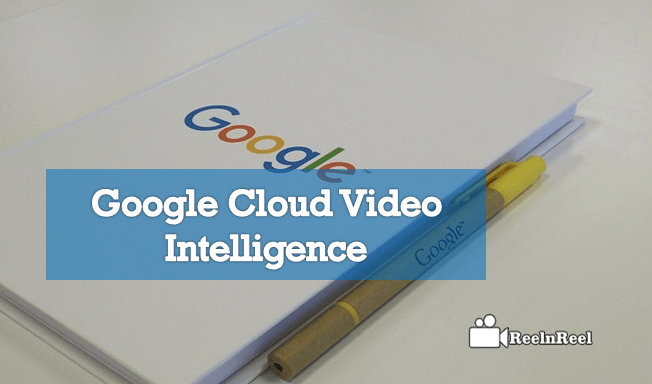 Google Cloud Video Intelligence is a video content analysis tool. This extracts metadata from the video and is capable of separating signals from noise to obtain relevant information from the video. According to Google, this is the first of its kind. Google Cloud Video Intelligence can easily search and discover video content about entities inside any online video. From the Google cloud storage video collection, it can find all the shots containing the entity you are searching for. Google Cloud Video intelligence makes the video content searchable. The user can find what the video is about and find and also find if there is inappropriate content in the video. The main features of this are the label detection, rationalization and it is integrated with Google Cloud Platform in multi languages. Developers will now need machine learning or computer vision knowledge to extract insights from videos. If you have a big video catalog, you can understand the content better with the help of cloud video intelligence. Video intelligence can also determine the scene changes in a video and also assign labels to the individual shots. It also detects adult content. The adult content detection and shot detection and labeling are coming for a price but Google Cloud Platform users can utilize these services for free for 1000 minutes of videos they upload. The videos are put in the Google Cloud Storage. Google cloud storage video intelligence supports MOV, MPEG4, MP4 and AVI and other formats. The features of video intelligence are interesting. Label detection helps this way – If your video contains entities such as dog, flower or cat, video intelligence can help you to detect their entities. SafeSearch detection is another feature of cloud storage video intelligence. It detects adult content in the video. It is done on per frame basis and only visual content is considered and not audio components of the video. However, ‘the accuracy of SafeSearch predictions is not guaranteed by Google’, as said on their site. Label detection is free for first 1000 minutes of video for Cloud Storage users. From then onwards, the price is 0.10 dollars per minute. Shot detection is also free for first thousand minutes and then it will be 0.05 dollar per minute or it is free with label detection. SafeSearch detection is offered free for first thousand minutes and then it is 0.10 dollar per minute. To use Google cloud storage video intelligence first you have to enable Cloud Vision API. In the cloud platform console, go to Projects page and select to create a new project. Then enable billion for the project. Enabling the billing depends on whether a new project is being created or the billing is re-enabled for existing project. Choose the billing account that you want to link to the project if you have multiple accounts. If you do not have a billing account, then you must create one by following the instruction in ‘Creating a new billing account’. Billing can be disabled for projects if it is temporarily disabled. This is done at Cloud Platform Console. Go to Project list, select the project and open Billing. Click on Link a billing account and then select an account. The next step is to enable video intelligence API. User-generated videos are being uploaded to social marketing campaigns. Companies encourage consumers to do so to use them for contest submission and testimonials. These videos need to be processed which requires considerable resources. Cloud video intelligence offers a scalable and serverless way to do video filtering and the submission processing can be accelerated.